​December 21 Correlation Risks Back into the Danger Zone ? Last Research for 2014 - back on ​January 11 for the next one. ​​​​​​I wrote a few times last week that the Correlation Risks ​were ​​Increasing. when ​will be back below the 0.75 treshold level. ​SP500, so still far from ​the critical level of 0.75 but worth noticing. It reminds me of the same long correlation risk phase between May 23 and June 11​​ 2014 and the other phase of August 12 to August 27 and November 20 to December 1st. What happened next is a correction in Price of Apple Shares: Til June 24 ( 4.2% taking closing prices ) in the first case before resuming uptrend and in the second case - September 9, a 5.15% price correction and for the tird case for December 1st, a 3.6% correction. ( See chart below, vertical amber line ). ​rebalancing being so close of the end of the year. ​Correlation factor with the SP500 is a lot more crucial to follow than with ​the XLK​​​ ETF. So now, when we will see Correlation with the SP500 getting under 0.75, ​then Apple ​Shares will be at risk ​of underperforming SP500 ​as history suggest. ​​​( See chart below ). ​​We had quite a ride in terms of high Volatility, a strong correction from the SP500 from December 8 to a rebound phase since December 16 and swing from Correlation Risks not seen for awhile just added tremendously to the Price Volatility of Apple Shares.​ The Correlation Risks ​Cycle ​is a lot more longer than we get used to see and I think it will change soon. ​​All that is just telling me ​to expect more volatility for the next two weeks because of lack of liquidity and players til the end of the year. More details on specific trading levels on the Daily tomorrow. ​at the same most of the time. ​Shares - see chart below. November 30 I am Weighting on You dear SP500 ? 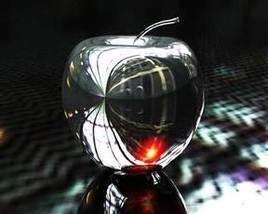 ​​​​​All that to say that the market lately have been behaving like Apple, like a magnet. I wrote a few times since the last two weeks that the Correlation Risks ​were Increasing. It is almost in the Danger Zone yet when Correlation ​number with the SP500 will be below the 0.75 treshold level. On November 28, ​It did reach 0.92 and declining slowly on Correlation with ​the SP500, so still far from ​the critical level of 0.75 but worth noticing. It reminds me of the same long correlation risk phase between May 23 and June 11​​ 2014 and the other phase of August 12 to August 27. What happened next is a correction in Price of Apple Shares til June 24 ( 4.2% taking closing prices ) in the first case before resuming uptrend and in the second case - September 9, a 5.15% price correction. Correlation factor with the SP500 is a lot more crucial to follow than with ​the XLK​​​ ETF. ​​We had quite a ride in terms of high Volatility, a strong rebound phase from the SP500 since October 16 and swing from Correlation Risks not seen for awhile ​: the Correlation Risks ​Cycle ​is a lot more longer than we get used to see and I think it will change soon. ​​All that is just telling me ​to expect more volatility for the next two weeks. ​​November 9 Correlation Risks Near Danger Zone ? the SP500 is below the 0.75 treshold level. the critial level of 0.75. So it is a huge risks that Apple Shares are facing for the next few sessions in terms of relative performance compare to the SP500. ​​We had quite a ride in terms of high Volatility, a strong rebound phase from the SP500 since October 16 and swing from Correlation Risks not seen for awhile ​: the Correlation Risks ​Cycle ​is a lot more faster and violent than we get used to see and I think it will be that way for some time. Again, at the close of November 7, the 109 strike Straddle ( long call + long put ) closed at $1.93 for the November options. A quite cheap play indeed ( or depending on your view, long call or long put ). ​​​​​October 26 Correlation Risks Increasing ? I wrote a few times last week that the Correlation Risks were Increasing. SP500 went below the 0.75 treshold level, but need close monitoring. ​June 11​​ 2014 and the other phase of August 12 to August 27. What happened next is a correction in Price of Apple Shares til June 24 ( 4.2% taking closing prices ) in the first case before resuming uptrend and in the second case - September 9, 5.15 price correction. I will keep you posted on the daily when the correlation risks will be triggered and uptade you on prices target. The other factor I would like to tell you is about the PVT ( Price Volume Trend ) that is in a phase of divergence for Apple Shares - see second chart below - ellipses. What I have noticed, is that in previous peak prices of Apple Shares ( June 10, July 29 and September 2 ), we had in each case a stronger and higher PVT; with a highest price ever on October 24, PVT did not reach previous peak of September 2 then creating a divergence. price fell on average of the previous 6 Years 1 day after the event by 1.4%. relative price fell on average of the previous 6 Years for the event by 0.8% 1 day Day after the event. ​So RV fell on average of the previous 3 Years for the event by 18.7% 1 day Day after the event. It it less crucial to know at this point because of ER but Correlation Risks are near the Danger Zone ? ​​​​Correlation risk are near to be at play. August 28 Correlation Risks in the Danger Zone ? Yesterday I wrote that the Correlation Risks were Increasing. SP500 went below the 0.75 treshold level. ​Correlation risk are now at play and well into the danger zone. And on top of that, the potential scenario for the SP500 futures is a tiny ​correction this week ​( We did break the 1998.5 level on SP500 Futures on August 27 ) ​and a consolidation ​phase for ​Apple Shares ​( to $99.32 MAX for the next few sessions ) ​before resuming ​uptrend. ​​We had quite a ride in terms of low Volatility, a grinding phase from the SP500 and swing from Correlation Risks not seen for awhile ​: the Correlation Risks ​Cycle ​is a lot more faster and violent than we get used to see and I think it will be that way for some time. ​​August 27 Correlation Risks Increasing ? Correlation risk are now at play and well into the danger zone. So it is a huge risks that Apple Shares are facing for the next few sessions. And on top of that, the potential scenario for the SP500 futures is a tiny ​correction this week ​( We need to break the 1998.5 level on SP500 Futures ) ​and a consolidation ​phase for ​Apple Shares ​( to $99.32 for the next few sessions ) ​before resuming ​uptrend. ​​​August 10 Correlation Risks Fading ? it will be that way for some time. Correlation risks fell below the danger zone ( 0.52 ) on August 8. ​It did reach over 0.75 with the SP500 on August 1 ​( See chart below - Ellipses). ​​We have seen in the past that when correlation level with SP500 crosses back below .75, it does increase the slippage risks in the next few sessions for Apple Shares.​ The next two trading session will gives us the answer. A Fast Cycle will add tremendously to an already Volatile price action for Apple Shares. A Delayed Cycle will Reduce Volatility and balance that Market Risk partially. So we had a Delayed Cycle on Correlation​​ Call and then Risks are Fading quickly. August 3 Fast Correlation Cycle ? ​​​August 3 Fast Correlation Cycle ? Correlation risks are now at play and well into the danger zone ( 0.7546 ). ​It did reach over 0.75 with the SP500 on August 1 ​( See chart below ). ​two trading days and Apple ​Shares will be at ​risk ​of underperforming SP500 ​as history suggest ( See chart below - Ellipse July 11 to July 16 Fast Cycle ). 2) A delayed Risk: Correlation with the SP500 stay over 0.75 within the next ​several trading days and Apple ​Shares will be outperforming SP500 ​as history suggest ( See chart below - Ellipse May 23 to June 6 Delayed Cycle ). We have seen in the past that when correlation level with SP500 crosses back below .75, it does increase the slippage risks in the next few sessions for Apple Shares.​ The next two trading session will gives us the answer. ​​​July 27 Correlation Risks in the Danger Zone ? ​​​​July 27 Correlation Risks in the Danger Zone ? ​Apple ​Shares will be at ​risk ​of underperforming SP500 ​as history suggest. ​​​( See chart below ). Having Already Started a ​​ A New Counter Trend Phase ( See the Other Research ) that will balance that Correlation Risks, it does tell me that Volatility in Apple Shares will prevail. Please have in mind that since that with that all new crowd​​ ( retail players ), Apple Shares Behavior will be changed in two ways: I expect more Volatility in term of Price and Relative Volatility and price extreme ( slippage ) that in the past. So we will have to adjust accordingly. That will just add more trading opportunities but also associated with more risks. July 13: Totally in DeCorrelation Again ? ​SP500 is in a deep negative territory (-0.38) - so a DeCorrelation risk. ​few sessions a consolidation / dead cat bounce emerge. ​of ​outperforming SP500 ​as history ​suggest. ​​​( See chart below - ellipses ). That behavior on Apple Shares, especially​​ last Friday was option driven. With ER results quite near, that tells me that Volatility will prevail. 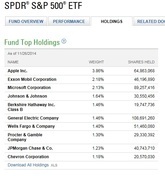 ​​​​Correlation factor with the SP500 is a lot more crucial to follow than with ​the XLK​​​ ETF. ​​​​July 6 Correlation Risks in the Danger Zone ? ​​​​July 6 : Correlation Risks in the Danger Zone ? ​Correlation Risks are at Play. ​So when we have ​Correlation with the SP500 getting under 0.75, then Apple ​Shares will are at ​risk ​of underperforming SP500 ​as history suggest. ​​​( See chart below - ellipses ). As long as the SP500 futures U4 break the 1971 level, then I expect some Counter Trend flows that may come as a contrarian flows to minimize the Correlation risk.... ​IF SP500 continue to grind and we come back below 0.75 for the Correlation risk, then Apple Shares will be at maximum risk. The best scenario for me is for Apple Shares is to have a tiny correction phase, testing the 20 Day Moving Average ( DMA ) now at $92.25 and rebounding from there. Breaking tha 20 DMA will be seen a very weak technicals and risk a gap down to the $90.75 level. ​SP500 is in a deep negative territory (-0.41) - so a DeCorrelation risk. ​suggest. ​​​( See chart below - ellipse ). ​​June 15 Correlation Risks in the Danger Zone ? ​​​June 15: Correlation risk are now at play and well into the danger zone. ​Correlation with the SP500 getting under 0.75, then Apple ​Shares will are at ​risk ​of underperforming SP500 ​as history suggest. ​​​( See charts below ). The best scenario for me is for Apple Shares is to have a last tiny capitulation phase, testing the 20 Day Moving Average ( DMA ) now at $90.10 and rebounding from there. Breaking tha 20 DMA will be seen a very weak technicals and risk a gap down to the $88.93 level. ​​June 1 Correlation Risks Rising ? ​​​June 1: Correlation risk are now at play and well into the danger zone. ​then Apple ​Shares will be at risk ​of underperforming SP500 ​as history suggest. ​​​( See charts below ). potentially Icahn selling a portion of his shares​ next ​week. ​​​May 18 Correlation Risks at Play ? ​​​May 18: Correlation risk are now at play well into the danger zone. So it is a huge risks that Apple Shares are facing for the next sessions. be at risk of underperforming SP500 ​as history suggest. ​​( See charts below ). session ) ​before resuming uptrend. ​markets because some think we already started into a new bear trend. ​​​April 27 Correlation Risks Finally Abating ? April 27: Finally, Correlation risk now are abating well below the danger zone. So it is a huge risks that Apple Shares are not facing for the next sessions. ​then Apple ​Shares will have reach a short term top as history suggest. on the daily as usual. at $575.14​. This is the expectations of market participants ( not mine ). ​​​​​April 13 Correlation Risks Still at Crossroads? The next few sessions will be critical and I will update you with the daily. ​Shares are at risk of another huge slippage.​​​​​ That is the usual behavior. But the very bad performance of the SP500 can change that behavior. Last Friday​, Apple Shares followed the broad market. ​​April6: Correlation Risks at Crossroads? ​March 26, correlation risks have been grinding higher ​​​( now 0.63 with SP500 ). The critical level is over 0.75 with SP500. ​performed quite well. ( See charts below ). ​​​( over 0.75 with SP500 ) to fade quickly below that level on March 11. ​( It did close on March 11 at​ $536.09 and closed on March 14 at $524.69 ). ​or trade up... ( See charts below ). ​​​​​March 9 Correlation Risks at Their Peak ? ( March 7 ) with correlation factor with the SP500 spiking over 0.75. 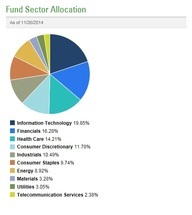 ​autocorrelation with Apple Shares who are around 8% of that fund. ​of ​slippage in Apple Shares in the next few trading sessions. ​underperforming​​​. ​( See charts below ). ​​​​​March 6 Correlation Risks are Back ? ( March 5 ) with correlation factor spiking over 0.75. ​( See charts below ). ​​​March 2 No Correlation Risks ? ​of a risk ​of ​slippage in Apple Shares. ​​Feb 23 Decorrelation Expectations ? ​$524.42 ​on February 21 ). ​spike ​of over .75: ​It is a very a bad ​omen for Apple Shares​​​. 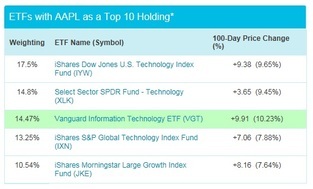 ​grinding pattern developping for Apple Shares like in October 2013. And another peak on Jan 6 at .83 tells me the risk of another downwave in Apple Shares within the next week ( Closing price on Jan 6 at $543.93​​ ).We did close on Jan 10 at $532.94. Another Spike in correlation happened on Jan 17​ but still below the .75 mark vs SP500. Apple shares are still at risk of slippage because of that. We are getting quite near of a Capitulation Phase in the next few sessions according to correlation see charts below ) and then ​​​​expect finally a rebound in Apple Shares.